Its now June and nearly 1/2 the year is done. Hows everyones modelling progress? I hope those attending AMRA have an enjoyable and motivating time in Auckland. We look forward to some layout pics and a yap about the weekend. Winter can be a time for a lot of inside modelling infront of the fire (or TV). Have a look at those little projects like lineside buildings or details, or making trees, that don't require heading to a cold train room, or outside shed during the evenings (or mornings as the case may be). Have a visit to www.nsmrcnz.org/index . 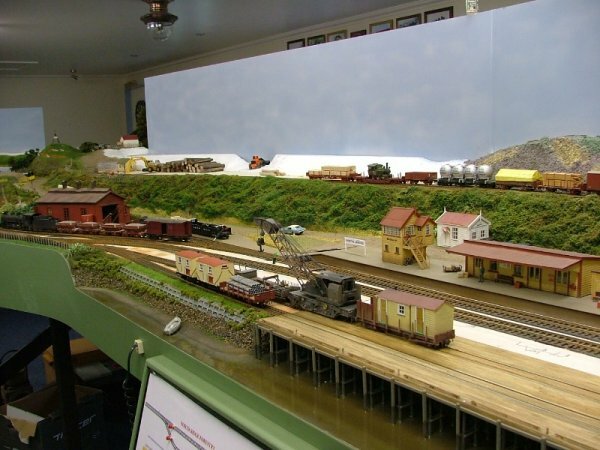 Its the North Shore Model Railway Club webpage with some photo's of NZR 3/16 models, taken by members. The attachment is from this site and is of progress on Grant Morrells layout in the Wairarapa.